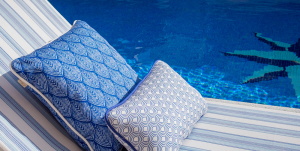 Curacao’s largest selection of textiles ranging from dress/apparel fabrics to indoor, outdoor, and automotive upholstery fabrics including world renowned brands such as Sunbrella. 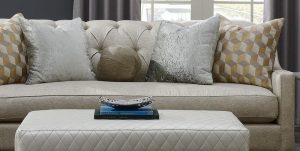 Professional upholstery, decorative cushions, and select bedding options are available for contract applications. For that special day visit our bridal boutique showcasing the latest fashions with beautiful, elegant fabrics in exclusive quantities. To complement our textiles, our notions department features an extensive selection of sewing accessories, craft items, buttons, zippers, trimmings, and much more. The island’s largest selection of sewing and hobby accessories for apparel and drapery production. Trimmings, ribbons, decorative cord, needles, thread, and much much more. The island’s largest selection apparel fabrics for uniforms, tablecloths, folklore, decoration, and much more. Along with the selection, large stock is available year round. Enormous selection of designer fabrics for women’s and men’s apparel following the world’s latest fashion trends. Beautiful and elegant bridal fabrics arranged displayed in a waterfall configuration from intricate embroideries to soft flowing peau de soi satins. Unique bridal appliqués and matching laces complete the bridal boutique. Island’s largest selection of curtain fabrics for both residential and contract applications. The assortment of designs, weights, material compositions, and different weaves allows for endless options and possibilities to fit the interior design setup you are going for. Sheer fabrics are available to provide a cozy and elegant presence while remaining light-filtering. Blackout fabrics are also available for total light control. Besides our selection of stocking curtain fabrics, special-order designer fabrics are also available. 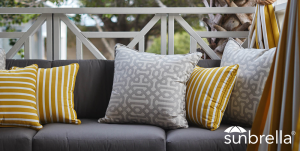 The island’s largest selection of upholstery fabrics for both residential and contract applications. An assortment of designs and textures which allow for an endless variety of upholstery applications for indoors as well as outdoors. Contact us to schedule a FREE of charge onsite consultations where we can offer recommendations, technical advice, and take measurements to ensure that your desired design & style for your home or office is delivered. Powered by 8 Multimedia N.V.